Dave trained as a biochemist and is an expert in the field of bacterial chromosome biology. 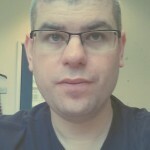 He relocated his laboratory to the University of Birmingham in March 2011 having previously established a successful research group at the University of Warwick. He is a life-long supporter of Wolverhampton Wanderers FC. He believes this has made it easier to cope with the frequent disappointments that befall a research scientist. 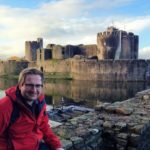 Originally from London, James did his undergraduate degree in Microbiology and Virology at the University of Warwick, before completing his PhD in the Grainger lab. James currently studies the regulation of pathogenicity in Enterotoxigenic E. coli (ETEC) and Vibrio cholerae. 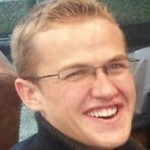 James is funded by the Human Frontiers Science Program (HFSP). David grew up in Sheffield, and much to his parents dismay stayed there to study for his undergraduate Masters degree at The University of Sheffield. He then moved to the Centre for Bacterial Cell Biology at Newcastle University for his PhD and first research associate job investigating a novel RNA polymerase in B.subtilis. Now in the Grainger lab, he’ll be looking into AT rich DNA and its role in bidirectional transcription initiation. Gemma grew up in County Durham and moved to the Midlands in 2000 to study Mathematics at the University of Warwick. 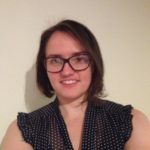 After her undergraduate degree she stayed at Warwick and joined the MOAC Doctoral Training Centre, where she completed an MSc and PhD in Mathematical Biology and Biophysical Chemistry. She then worked as a Post Doc at Warwick Medical School for 3 years. She moved to Aston University to work as a laboratory technician, before joining the Grainger lab as a research technician in 2016. 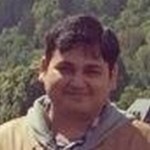 Prateek studied Genetic Engineering at SRM University, India, and did his undergraduate research project at the National Centre for Biological Sciences (NCBS). At NCBS he developed an interest in Molecular Microbiology and Plant defence systems. After his undergraduate degree, Prateek moved to the Friedrich Schiller University of Jena (Germany) and completed his MSc in Molecular Life Sciences. Prateek joined the Grainger lab in 2013 and is funded by The Darwin Trust of Edinburgh. His work currently focuses on understanding Enterotoxigenic E. coli (ETEC) enterotoxin expression in response to environment and host. 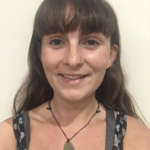 Rachel is originally from Essex and completed her undergraduate degree in Microbiology at the University of Surrey in 2014, before joining the Grainger Lab for her PhD. She is interested in bacterial regulatory networks and pathogenicity. Rachel is funded by the BBSRC as part of the Midlands Integrative Biosciences Training Partnership (MIBTP). Alistair grew up in East Sussex and completed his MSci degree in Microbiology at the University of East Anglia. He is interested in bacterial pathogenicity and antibiotic resistance. He is currently working on MarR, the repressor of the multiple antibiotic resistance operon. 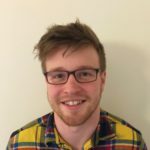 Alistair is funded by the Wellcome Trust as part of the Wellcome Trust Doctoral Training Centre in Antimicrobials and Antimicrobial Resistance. 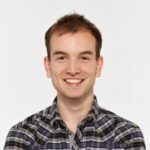 Tom is originally from Somerset and completed his undergraduate degree in Biological Sciences at Heriot-Watt University in Edinburgh. He moved to Birmingham for his PhD and is funded by the BBSRC as part of the MIBTP. He is interested in the evolution and mechanisms of antibiotic resistance. Emily is from Devon and moved to Birmingham in 2012 to study at the University of Birmingham. After graduating with an MSci in Human Biology she returned to the university as a PhD student and Research Technician with the Grainger lab. She is exploring pervasive transcription and its regulation in E. coli. 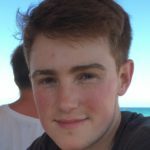 Lucas grew up in Portsmouth and moved north to do his undergraduate Master’s in Biochemistry at the University of Sheffield. After a year and a half in London, working as a research technician at UCL, he applied to the Grainger lab to undertake his PhD. His interests are in bacterial regulatory systems, host-pathogen interaction and antibiotic resistance. Lucas is funded by the BBSRC as part of the MIBTP. After completing her BSc in Biomedical Sciences from the University of Central Lancashire, Shivani obtained an MSc in Medical Molecular Microbiology from University of Aberdeen. Following this, she took up a Research Assistant post with Professor Ian R Booth in University of Aberdeen. Shivani joined our group in 2009, obtained her PhD in 2014, and worked with us as a Leverhulme Trust funded post-doc until 2017. Shivani’s next destination was the MRC London institue of medical sciences. 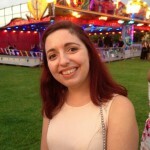 Laura is from the Wirral and did a BSc in Biochemistry at the University of York. She came to Birmingham to join Steve Busby’s lab for her PhD before moving across the IMI to the Grainger lab for a Wellcome Trust funded post-doc position. Laura joined Lab Support UK in 2015. 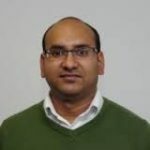 Kiran joined the group in 2010 as a BBSRC funded post-doctoral researcher having previously completed his PhD studies at the University of Nottingham with Prof. Panos Soultanas. Kiran is now Senior Scientist at Immunocore in Oxfordshire. Lisa, born and raised in Manila, is currently a post doctoral reseacher working on Escherichia coli gene expression and pervasive transcription. She obtained her Bachelor of Science in Biology degree the De La Salle University-Manila. From there she went on to obtain her Master of Science in Microbiology degree at the University of the Philippines-Diliman. After attaining her degree, she worked at the Marine Science Institute at the same university working in close collaboration with the Research Institute for Tropical Medicine. In 2012, she moved to Birmingham and obtained her PhD in 2016. 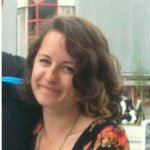 In 2017 Lisa obtained a post-doctoral position with Prof. Willem van Schaik to study antibiotic resistance and the microbiome. 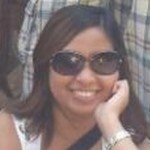 Jainaba is from Birmingham and completed her BSc and MSc at the University of Wolverhampton. 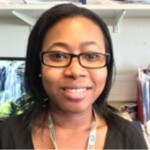 She moved to The Gambia to work at the MRC Gambia site before joining the Grainger Lab on a 3-year PhD programme. She has interests in the molecular mechanisms of virulence and pathogenesis of enteropathogens and is funded by the Islamic Development Bank’s Merit Scheme.